When it’s time for a new roof, it’s also time to know a few tricks of the trade that will make your experience far easier. From enhancing the protective qualities of your roof, to lowering overall costs, you can prepare yourself with these five useful tips. 1) Alternative shingles are becoming the new trend. While, of course, several homes still use wooden shingles, a growing amount are switching to alternatives that include concrete slate-type shingles and polymer plastic shingles, to name a few—not only for their homes, but for their insurance companies who highly approve. Ask a contractor about the non-flammable rating as well as options that are class 4 impact-resistant, which may qualify you for insurance discounts up to 30% or more. In the event of hail, a class 4 may even, in certain instances, cause insurers to waive your deductible. When selecting a roofing contractor, nothing outshines the competition like industry awards and local customer testimonials. Seek them both. In terms of quality, if the roofer has achieved GAF Master Elite Status, that already places them among the top 3% in North America. It’s simple: when you research a company, research its honors and distinctions as well. Another important factor to look for: experience. It’s always good to have a veteran roofing contractor holstered and ready in the event of emergency storm damage. Decades of regional experience show that they can work gracefully in the aftermath of a storm while being especially prepared for everything the local climate can deliver. Another sound indicator of good service? An in-house Insurance Claims Division that works directly with insurance to save you money—while saving you needless paperwork. 4) Double check your home’s insurance policy. Of course, good roofing companies offer a long-lasting roof warranty, which is a prime indicator that they stand behind their level of quality. Serving the Metro and beyond since 1987, Total Construction is prepared to handle all your needs—even if you just have questions. Get ready for summer: De-winterize your home. Winter is receding and the summer sun is teasing its way in. Now’s a perfect time to prepare your home with a few simple steps to maximize your comfort and minimize any issues this season. Test your outside water lines. Turn your outside water line back on and check your outside faucets to ensure they’re working correctly. Reattach your hose and test it also. If there’s a small leak, you can easily repair it using a garden hose repair kit available at most retailers. Check your home’s exterior. Now’s the time to see how your home handled the winter and preemptively address any needs before spring storms and summer swelter begin their annual barrage. Are there any shingles missing from the roof? Are there loose boards in the siding? Gaps in the windows? Torn or bent screens or any cracking in the foundation? Points where the snow leaked into the home? These are all things that can be promptly solved by a professional contractor before the problem grows more intense along with the weather. Make sure your attic is properly ventilated. 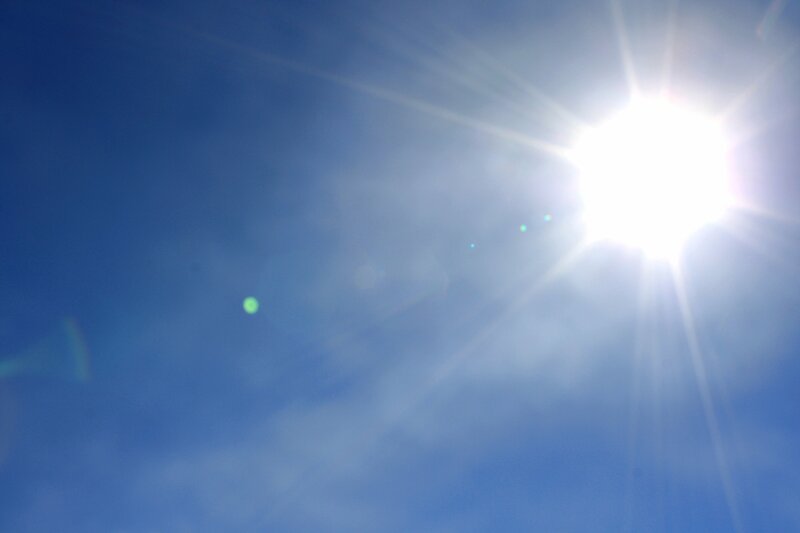 An attic that’s properly ventilated by professionals ensures that undue heat is never trapped in your home (poorly ventilated attics can reach 150ºF in the summer) while also preventing unwanted moisture. When moisture builds, it can form into mildew and molds on your infrastructure—which can sometimes become a health hazard. So let your attic breathe. The benefits may surprise you. Get your HVAC system checked. Make sure you’re prepared when you revive the AC for another season of cooling. Professionals can check your unit to ensure it’s running correctly, locate any leaks and tune it to run most efficiently. Test all of your outside electrical outlets. Are they working correctly? Again, a professional contractor can assist if you locate a dud, which may indicate a greater problem. Know your market. It’s wise to be prepared. With the seasonal changes on the horizon, be sure to have a trusted contractor on hand in the event of a problem or emergency. You can ask your home insurance provider for a list of trustworthy names. But above all, look for someone who receives local awards and real testimonials indicating overall excellence and customer service. A well prepared home decreases the likelihood of issues during the hot months, but more importantly, enables you to more easily enjoy the summer. After all, isn’t that the point? If you have further questions on de-winterizing your home, or for anything home-related, call Total Construction any time to speak with a friendly representative. In a feat that only 3% of North America’s roofing contractors have ever achieved, Total Construction has been named as a Master Elite Weather Stopper® Roofing Contractor for GAF—the largest roofing manufacturer in North America. This status is awarded to contractors who demonstrate an uncompromising commitment to the highest standards in sales, services and installation to ensure that each customer receives the best and safest choice in roofing. While Total Construction is honored to receive such a high badge from such a successful and reputable company, we hope this is an indication of our constant goal to work seamlessly with all parties with whom we do business—from listening to the needs of each customer, to communicating with their insurance, to dealing with the finest vendors and product available on the market. In a monumental event for our company, the internationally renowned Contractor Connection has named Total Construction the Midwest Region Contractor of the Year. Contractor Connection is known across the industry for having the best construction and building repair and remodeling contractors in the U.S. and Canada, as well as being the largest fully independent network of managed contractor repair for insurance companies and consumers. While Total Construction is honored to accept this award from such a highly respected source, we remember what got us here in the first place—putting the customer first. Since 1987, we’ve never stopped short of your complete satisfaction, approached every job with a relentless Midwestern work ethic, and earned our reputation by doing the job right the first time, every time. We hope our customers agree. And while this is a landmark award, we plan on celebrating by doing what we know best: Getting back to work. Storm or hail damage to the roof? A third party manager can work miracles. We’ve all heard the old saying, “the calm after the storm.” But can there be peace of mind after storm damage to the roof, especially when it seems like all roofers are suddenly overbooked and unavailable? Thankfully, there’s an answer. It’s a smarter, lesser-known approach to gain fast access to a top network of roofing contractors in the area, a better warranty, and most importantly, the level of repair your home deserves. Why a third party should be a first choice. Faster response. There’s often a shortage of roofing manpower for weeks, or even months, after a storm. A third party solves this by managing a network of readily available contractors. An extended warranty. Up to five years, which is currently the best roofing warranty in the industry. A watchdog for you. Above all, a third party serves as a manager on all ends. They manage the roofing contractor assigned to you to ensure everything is inspected accurately and repaired on time, on code. But they also bring more experience to the job, enabling them to handle necessary paperwork and work with adjusters to pinpoint exaction. There’s no hassle, guesswork, or improper estimates when a third party is managing all sides. 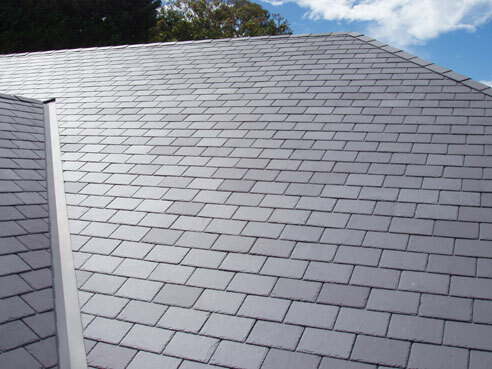 An emerging trend in the roofing industry. A third party management solution stemmed recently from a legitimate need for a better industry-wide solution. In a sense, it’s a modern repair to the roofing industry as a whole. Homeowners love it, insurers love it, and it’s a great way to ensure you receive better, prompter repairs after a storm—whether it’s your roof, siding, or gutters. 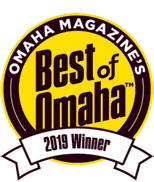 Total Construction Services is proud to claim that we are an approved third party roofing and restoration contractor, providing acclaimed roof, restoration and repair services across the Omaha, Norfolk and Lincoln metro areas since 1987. In fact, it’s likely that we’re already registered as a preferred contractor of choice with your carrier. Check us out at www.mytotalconstruction.com. Learn more about Third Party Management. Total Construction is honored to partner with the U.S. Department of Veteran Affairs in their mission to assist our servicemen and women. The VA Home Loan Guaranty Program provides both veterans and those currently serving our country, along with their spouses, with much-needed benefits and financial backing to make home ownership more accessible. Total Construction will assist the program where needed with home repair, restoration, and building new homes. The Department of Veterans Affairs takes good care of their own—an approach we intend to replicate as a builder within the program. We believe that providing quality construction services is yet another way to ensure the continued quality of life for those who serve our country. Total Construction has provided the Midwest with acclaimed roofing, repair and remodeling since 1987.